ABLE Instruments offer Xentaur ‘Model XDT’ dew point transmitters as the exclusive sales & service partner and calibration centre for Xentaur within the UK. 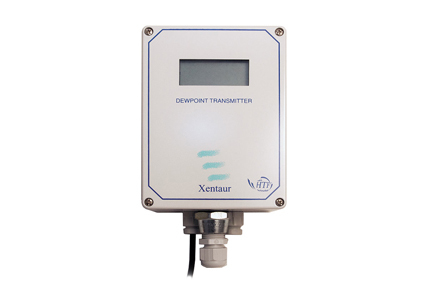 The Xentaur digital dew point transmitters are designed as compact, simple and reliable instruments, which will continually monitor air dryer performance, compressed air quality and dry gas moisture, from ambient dew point levels to as low as -100ºC (-148ºF) up to +20ºC (+68ºF). The XDT transmitter electronics take full advantage of state of the art microprocessor technology and offer many advanced intelligent features. With optional dual alarms, analog and digital outputs, the Xentaur dewpoint transmitters can be used as indicators, alarm units or controllers.